In his role as pianist and primary songwriter in the band Red Earth & Rust, Jacques Coetzee brings his classically trained vocals to the fore, also employing his ability as a poet to deftly craft the songs his band performs. In 2002 Jacques’ collection of poems called “Singing Through” (based partly on his experiences as a singer) won him an M.A. degree in Creative Writing from the University of Cape Town. 2008 saw Jacques perform at the Spier International Poetry Festival (where he was one of the featured poets) and his band Red Earth & Rust were also on the bill. That same year, Jacques performed as a voice artist with Tossie van Tonder at the Grahamstown Arts Festival in a piece combining voice and movement entitled “intiem Et Cetera.” In his time, Jacques has tutored students in English literature at the universities of Cape Town and Stellenbosch and also been a musical busker holding audience at the V&A Waterfront in Cape Town. 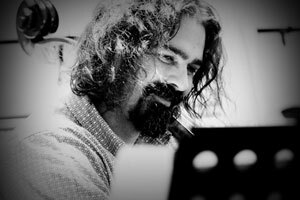 Primarily a double bass player, Brydon Bolton is a name well known on the South African performance circuit. He has been actively involved in many different styles of musical performance and has collaborated with an equally wide variety of musical artists. 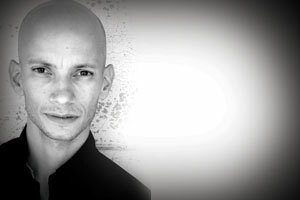 Born in Port Elizabeth, Brydon studied classical technique under a Yugoslavian cellist and jazz improvisation from the jazz players in the black and coloured townships surrounding his home town. 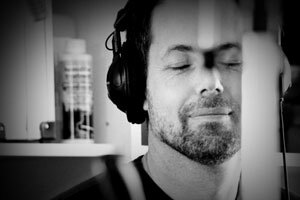 A regular face on the Cape Town music scene, Brydon has in his time performed and recorded with many renowned South African musicians such as Alex van Heerden, Derek Gripper, Robbie Jansen, Tony Cox and Frank Mallows, t name but a few. Brydon is also a music educator, sound artist, curator of music and sound events, composer of contemporary classical music, and a sound designer for dance and theatre performances. His work focuses on developing music and sound forms that challenge idiomatic or conventional expressions. He is known to e always looking for ways to expand his performances whilst enhancing the sonic environment in which he performs. Willem Moller grew up in Stellenbosch and Cape Town , became aware of Elvis and the Shadows at age two and the rest is hysteria! Started playing drums and guitar as a kid and have been making music ever since. Studied philosophy and journalism at Stellenbosch and learnt sound engineering working on the road with bands. I’ve divided my adult life between stints at various magazines and newspapers, running a recording studio and playing guitar, drums, bass and percussion with artists from Wendy Oldfield, Johannes Kerkorrel and Koos Kombuis to James Phillips, Little Sister, Steve Louw, Luna Paige and Dave Ferguson. I’ve also recorded and produced albums for artists like Bright Blue, Henry Ate, the Blues Broers, Valiant Swart, the Lurchers and the Sunshines. More recently co-wrote and played on the soundtrack for the film Skeem and played on albums by Koos Kombuis, Luna Paige, Big Sky, Robin Levetan and Red Earth & Rust. After 20 years in Joburg I now live in Glencairn, Cape Town. Gustav Fasani is an Argentine-born composer, pianist and bandoneon player of much repute both globally and here in South Africa where he has been active for a number of years both with his own solo projects and as a integral component in several other musical outfits. Natalie Mason originally hails from Birmingham in the UK. She is classically trained and she is also currently involved with a music therapy clinic in Heideveld just outside Cape Town. 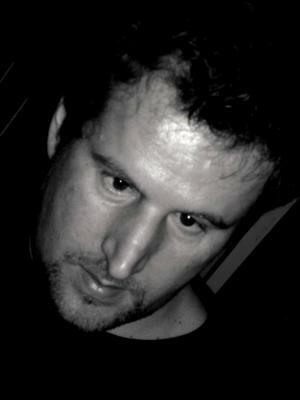 Dawid de Villiers is a noted lyricist and guitar player based in Wellington in the Cape. He heads the Jeremiah Brimstone Band - a unique indigenous sound, expressing an intense and poetic outlook on the world and society in general. He also plays with Afrikaans alternative outfit amaBhulu. Jo Ractliffe is a photographer. She lives in Johannesburg and teaches at the Wits School of Arts and the Market Photo Workshop. She has exhibited widely, both in South Africa and abroad and is also deeply involved in public and educational projects that explore photography as a means of imaging and understanding our relationship to our world. Alongside this, she harbours a secret passion for country music, men with sideburns and wide open roads. As a recognised multi-instrumentalist, Jonny Blundell knows a thing or two about rhythm and its ability to move and inspire. Jonny’s unmatched skill has seen him fulfil a role as a highly sought after professional session musician over the years and he has played with many bands; Fat City, Roger Lucey band, Andrew Tracey steel band, Keep the Change being just some, not to mention the fact that he has also complimented the line-ups on international acts such as Crosby, Stills and Nash and Shawn Phillips. In his role of music producer, Jonny Blundell has produced albums for the likes of Robin Walsh, McCoy Mrubata and Gito Baloi. 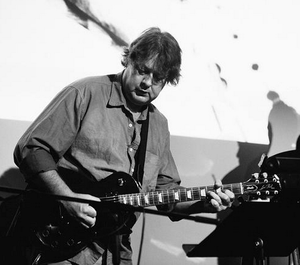 He has written countless documentary soundtracks and has directed music for many live shows. His business “The Rhythm Workshop” hosts interactive drumming and percussion sessions using various instruments including musical tubes, African djembe drums, pan-pipes and other assorted percussion. He also runs a successful mobile disco - Jonny B’s Mobile Disco. Ross Campbell is perhaps one of South Africa’s most accomplished drummers. Ross began his musical career at the age of 16 in the late eighties in his first band Celtic Rumours. In 1992, Ross joined Landscape Prayers with guitar supremo Nibs Van Der Spuy and bassist Didier Noblia, which opened him up to a whole new style of (mostly instrumental) music. A few years later he joined Chris Letcher and Brendon Jury in Urban Creep who had a string of radio hits and yielded a couple of SAMA-nominated albums. He then returned to instrumental music with the band Benguela (which he co-founded with guitarist Alex Bozas and bassist Brydon Bolton). At the close of the nineties, Ross joined pop/rock outfit Fetish, which also delivered a number of radio hits and SAMA-nominated albums, as well as supporting international rock heavyweights Lenny Kravitz, the Smashing Pumpkins and Skunk Anansie. In 2003 Ross started his own indie record label called Open Record. 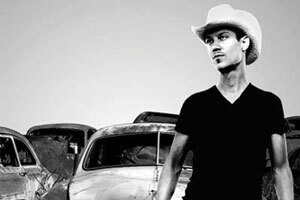 He then joined up with folk/rock singer Simon van Gend to release the critically acclaimed Pocketsongs album in 2005. Ross also plays drums for South African singing sensation Farryl Purkiss. Ross plays a really small drum kit and stays as far away from drum solos as he can. Violinist and Bass player Terrence Scarr was born in Port Elizabeth but has lived in Cape Town all his adult life. He has played and recorded all over South Africa with many of SA’s leading musicians including Abdullah Ibrahim, Tony Cox, Steve Newman’s Tananas Orchestra Mundo, and Jonny Blundell. Head of Music at Rondebosch Boys’ High School, where he teaches Brass and runs an acclaimed Jazz Band, as a player Terrence is at home in a wide variety of musical genres and has developed a distinctive musical voice and style. The name Aron Turest-Swartz is one recognised right across South Africa as that belonging to one seriously multi-talented musician. Not only able to play the keyboard and hold down percussion, Aron has an incredible singing voice and has spent a large part of the past six years hard at work composing original music. 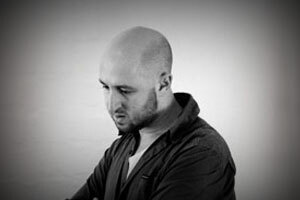 Aron originally began his musical adventure at the tender age of 13, studying piano under Merton Barrow at the Jazz Workshop in Cape Town, and he diversified his skills by playing drums and percussion whilst living in Dublin in 1998. Aron is perhaps also widely known for his role in starting the multi-award winning South African cross-cultural pop band Freshlyground. John Cooke has been a guitarist almost his entire life. He first picked up a guitar at the age of nine and has never looked back, or wanted to do anything else. During the swinging sixties and into the seventies, he and his band – Lincoln Green - played the full gambit of the rock, pop and dance scene in the UK, even fronting for The Who, Brian Pool and the Tremolos, the Mersey Beat and others. On moving to South Africa in 1975, Cooke joined and performed with a variety of bands. 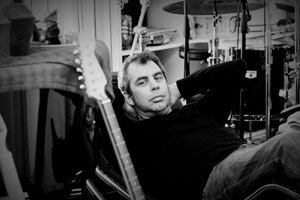 He met up with Barbara Fairhead and Jacques Coetzee in 2005, and together with them founded the band Red Earth & Rust, bringing a practical, hands-on approach to songwriting and musical structure that anchored the material. As the primary lyricist for the band Red Earth & Rust, Barbara Fairhead evokes her award winning creative writing skills to compose the heartfelt songs the band performs. Barbara was also the executive producer for Red Earth & Rust’s first album ‘Look For Me’. The creative realm is where Barbara Fairhead is most comfortable and in her pursuit of creative outlet she has assumed the roles of artist, sculptor, author, poet, writer and sand-play counsellor. One of her most enduring achievements is the creation and conceptualisation of The LifeSpaceGame, a weekend personal growth experience which incorporates music and poetry among its many tools. Barbara Fairhead’s published works include the three books ‘And Now You Have Leapt Up To Swallow The Sun’ (1997) - a collection of early poems, ‘Word and Bead: The presentation of a Journey’ - a collection of poems, writings and illustrations of her beadwork which accompanied her exhibition of Beadwork Tapestries held at the Irma Stern Museum, Cape Town in August 2001, and ‘Raven’s Moon’ (2001) - a mythical tale of a soul’s journey (illustrated by Gillian Mathew). Ronan’s musical career started age ten with 7 years of classical French horn training in Germany. He was then introduced to the Australian Didgeridoo by a friend and was later given his first ‘real’ didgeridoo by master drummer, Emmanuel Gomado from Ghana, which sparked many new avenues and collaborations. After much self-teaching and musical travels Ronan was fortunate to meet a great Tabla maestro. Having been passionate about percussion and always keen on the Tabla this new chapter couldn’t have come too soon. 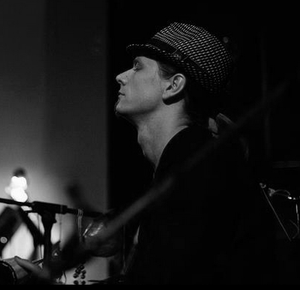 Ronan began playing Tabla in 2003. His teacher, Ustad Akram Khan is India’s master of a very rich and intricately technical north Indian style known as the Ajarara Gharana. As a disciple continuous learning is the focus and Ronan regularly visits India to further his studies. Ronan has been exploring a fusion of tabla, percussion and didgeridoo within one context by means of a hybrid percussion kit, which he has designed. This has become part of his permanent set-up and demonstrates a rich textural variety as well as an intriguing versatility. Many of his instruments are hand made by him and often come directly from percussion sounds found in nature. Ronan has featured his sound in genres across the board from classical through rock, folk, electro, jazz, world music and hip-hop. Ronan has performed in S.A., Germany, Switzerland, Holland, France, U.K. and INDIA and has featured on many recordings and film scores. 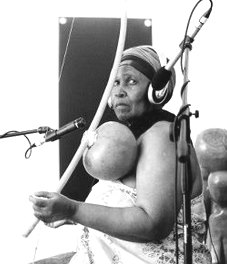 ‘The Veteran’, as she is popularly known among the Bundu societies in Mpondoland - is an undisputed Queen: the great musician, composer, story teller and the dancer of the time. Her music is extraordinary; unique not just in its scope but in its variety and the range of feelings it evokes. Since she is respected in the playing and making of Uhadi (berimbau), Isitolotplo (Jews’ harp), Umrhubhe (mouthbow) and a legend in story-telling, you’ll find that she also expresses feelings and thoughts of the ancient life. Aside from their work with Amampondo, Dizu Plaatjies and Mzwandile Qotoyi also work together as DZM Projects to produce recordings by indigenous artists. Dave Ferguson has been playing harmonica since the age of 17. He recently returned to South Africa after living and working in the UK where he was most active as a blues and country player for both live and studio session work. The list of artists he has worked with is impressive, noting such names as Michelle Shocke’d, Sophia, The Arlenes, Emily Barker, Hucklebuck, John Townes Van Sandt, The Ian Siegel Band, King Deluxe, Alva Skully, the London Street Blues Band, Dave Clarke’s Blues of Cain and others. Dave also performs a solo show using only harmonica and his vocals, recording live loops and building those loops to construct a song in a unique musical style best described as “trans-Blues” or “Country-Dub”; dance-style grooves served up in a Deep-South style, showcasing the incredible range and expressive qualities of the harmonica. 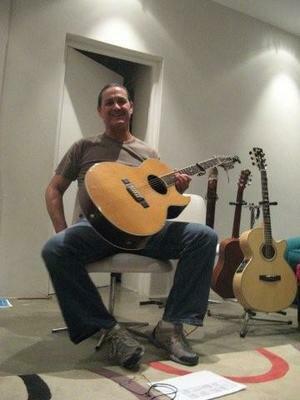 Born and raised to his mid teens in Namibia, Carlo has been resident in Cape Town since 1977. Musically active since age 9, he has been playing and studying bass and guitar ever since and has been writing sporadically since 1980. 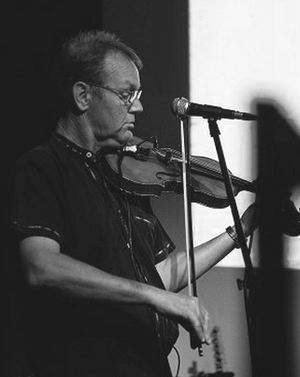 He has been around the Barleycorn Music Club on and off since the late ‘70s. Originally the bassist for mid 80’s blues band, the Flaming Firestones (forerunner to the famous Blues Broers and today’s Boulevard Blues Band), Carlo is also a promising acoustic finger-style guitarist who has since 2005 found time to write and perform again. He has a wide range of genre influences (Blues, Bluegrass, Folk, Country, Gospel, Jazz, Rock, Soul, African, Flamencan, Cuban, Latin American, World, Classical) which he continuously mixes together to create fresh and interesting musical expression without an overall preference, ‘…just what I am feeling more into on the day or for a particular project, as long as it’s creative, interesting, well delivered and serves the purpose’. Amongst his recent musical achievements, Carlo has played with a jazz standards trio, filled in for namesake musicians, completed a Music Producers Course, won 3rd prize in the 2008 Barleycorn Songwriting Contest, opened for Steve Newman, played and collaborated with Red Earth & Rust, played Acoustic Finger-style guitar public & private soiree’s, and collaborated on the pre-production of Irish Songstress, Martina Keane’s forthcoming album. In the pipeline are an original album in the near future, live performance and producer collaborations and an electric solo set with full band potential.